Kim’s recent exhibition, Conatus, at Peter Walker Fine Art, sold out prior to opening. The 12 drawings in the exhibition were bought by a range of high profile local and interstate institutions and private collectors, including Artbank. The exhibition received rave reviews and coverage in a number of publications. 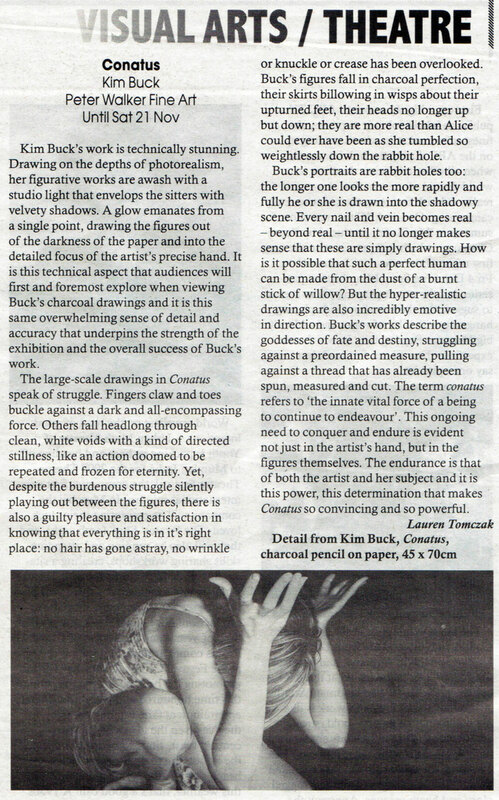 Click below to read Lauren Tomczak’s review of Conatus in DB Magazine.